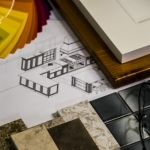 Deciding which company should do your home improvement project can be stressful. 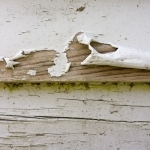 Lakeside Exteriors has put together a few tips for homeowners to go by. These questions work for any contractor you speak with regarding your upcoming project. This may seem basic but there are a surprising number of contractors who work out of their trucks. If a company does not have a permanent address, how can you be sure he will complete the project and come back if there needs to be work in the future? Homeowners can suffer serious financial loss resulting from an uninsured or inadequately insured contractor. A contractor should provide you with a certificate of insurance for comprehensive general liability, workman’s comp and completed operations insurance that protects you in the event of an accident. The insurance should be adequate to cover the full value of your property. Always call the insurance company to verify the insurance is as represented and is still enforced. 3. Is the company licensed? Is the contractor a member of any trade associations? Licenses are important but a better test is to question the contractor’s commitment to his trade. Is he a member of any trade associations? Call the association or visit their website to verify the answer. Ask the contractor if he takes any continuing education training. Ask to see certificates. A professional contractor will be happy to respond to these questions. The more experience, the better. Less than five years can be a sign of an unstable business. 90% of contracting businesses fail within the first five years. Check references carefully. Most failed construction projects do not happen quickly but deteriorate over a period of years. Current references are fine to see if the homeowner is happy today but only long-term references will show the contractor’s work holds up over time. A professional contractor will gladly provide references and will want you to speak with past customers. Ask the contractor for the name of a problem account and an explanation of how he rectified the complaint. Every contractor that has been in business for a long period of time will have had disputes so the question is not if he has had a dispute, but how he handled it. Don’t confuse a product warranty with a workmanship warranty. Product warranty covers the products used and are provided by the manufacturer. They are important but even the best product will fail if it is not installed properly. Ask to see the contractor’s training and certification credentials from the manufacturer. Call the manufacturer or visit their website to determine if they are valid and if the contractor is still in good standing. Professional contractors will have no problem providing this proof. In fact, they will usually present their credentials before being asked. 7. Ask specific questions for specific projects. This is where you ask certain questions depending on the project. If it is a big project, ask if a permit is required and verify it with your local building department. Discuss payment terms, if appropriate. Ask about daily cleanup activities or for specific time tables. A professional contractor will welcome these questions. Do you have any other tips? Comment below with your advice!